I loved Shadow of the Wind and the follow up The Angels Game. Now I have The Prisoner of Heaven in my sights. I wanted to see Spain after this and to move through the streets with the same simple stores and the disenfranchised people of the war moving among them. The setting was as much a character as the books and the people for me. Another book where I have longed to move through the scenery was A Moveable Feast. I longed to be in Paris. 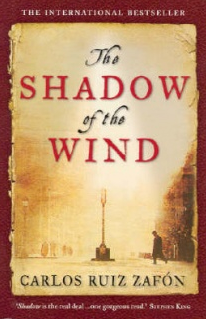 “I still remember the day my father took me to the Cemetery of Forgotten Books for the first time…” and I’ll never forget reading Shadow of the Wind for the first time either.